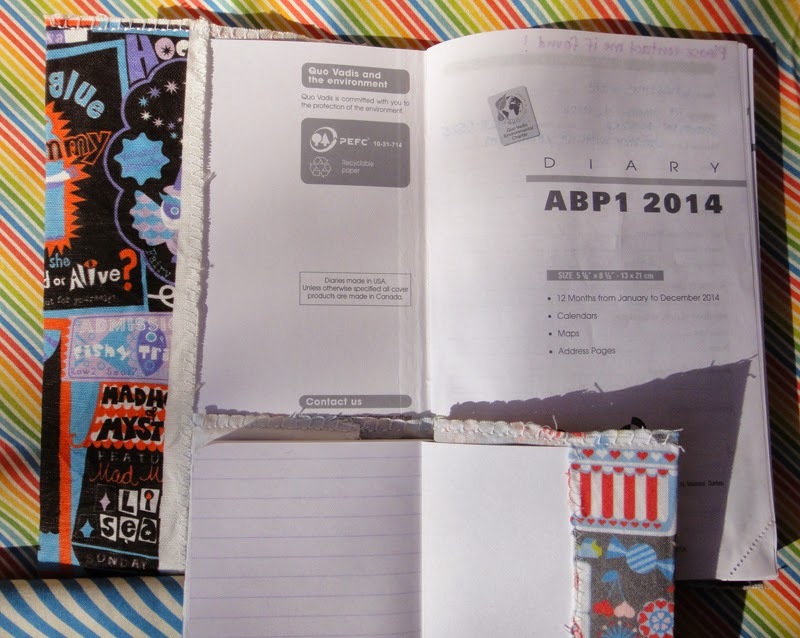 Many thanks to Christine of Cookie Cutter Design for this excellent guest post on an easy way to make your own cloth cover for your planner or notebook! If you’ve used any number of planners, odds are that you are familiar with that leather-like cover they usually come in. It is very difficult to find a planner without a PVC (poly-vinyl-chloride) cover, especially if you seek some variety, and I’m sure that many Plannerisms readers are quite picky about their planners! Some of the problems with PVC are that: - it outgases indefinitely, even in landfills - it releases dioxins when incinerated (carcinogenic and contributing to climate change) - it is a group A human carcinogen, linked to liver cancer - it is a known hormone disruptor - like any petroleum product, its source, production and disposal are associated with environmental harm. Some people actually seek out PVC for its visual characteristics, and many people enjoy plastic products for their obvious practical appeal. I am one of the (probably) few people who avoid PVC like the plague, and I try to avoid new plastic products in general. 1. 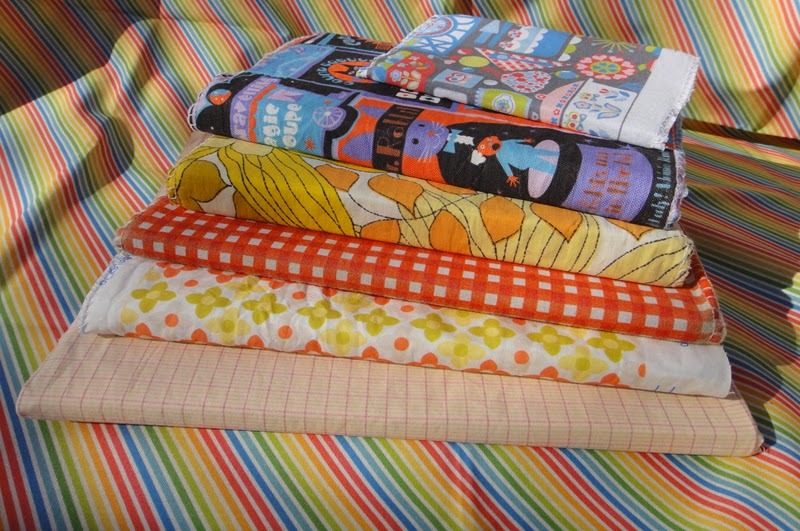 Get yourself some fabric you love, ideally of medium weight. 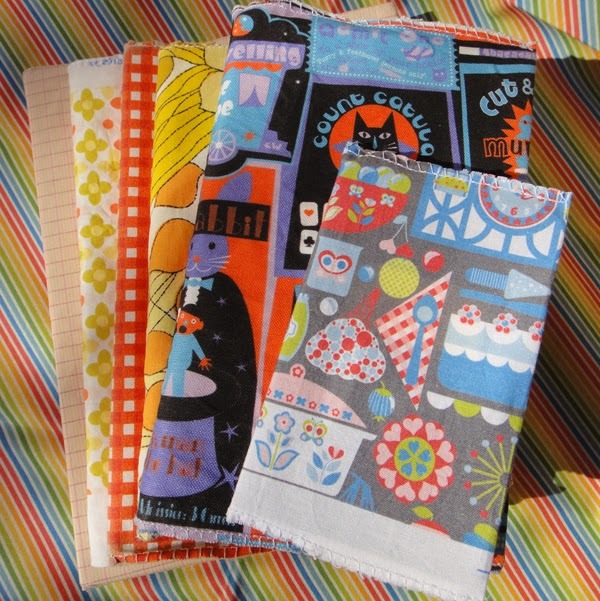 In the past, my fabrics included old (‘vintage’) pillowcases; now I use fabric I designed myself. 3. Using a tape measure, measure the length of your planner or notebook: measure the closed book from edge to edge around the spine. Then measure the height. Add 1/2 inch (1 cm) to the height and about 4 inches (10 cm) to the length measurement - less, if your planner is very small. Mark the fabric on the wrong side with a pencil or pins. Cut out the piece. 4. Hem the short edges of the fabric, either by using an over-edge function of your sewing machine or by using needle and thread to prevent fraying. 5. Fold over the short edges of the fabric by about 2 inches - it helps to wrap the planner in the fabric and pin the top and bottom fabric edges together. Remove planner and machine-stitch along the top and bottom. Use the over-edge function of your sewing machine OR straight-stitch by hand first and follow up with a simple manual over-edging as you did in step 3. 6. Your cover is finished! When it gets dirty, just wash in the machine or quickly by hand. I recommend air-drying. I hope that some of you now feel inspired to make your own fabric cover for your planner refill, perhaps at the end of this year. If you have any questions, please don’t hesitate to leave me a comment! Holy crap, I just found this blog while looking at ADHD tools online. I was finally diagnosed this year at 35 and it's been both a welcome opening door of understanding and a frantic struggle to try and master ALL THE TOOLZ AT ONCE! Although your blog contains the deadly combinations of shiny, pretty new things, and many articles on them, so I may never get any work done again in hyperfocus doom. What if I don't get the VERY BEST ONE EVER??? Welcome, eventer79! We share your worry over finding the very best one ever. Laurie has settled in pretty well this year, though you can click on the "currently using" link and follow her past adventures in planners. And some of the rest of us are still working on this year's planner search. I am not publicly admitting anything, but my daughter did ask when I got home from work, "So tell me what was in the box you got today? It was another planner, right?" Oooo, thanks for the new things to read!! I did actually find one I can order through work that may be useful; it's pretty simple, made by At-A-Glance, but it means I don't have to pay for it, which for this broke chick, is always a good thing. I'm combining it with a desk calendar to see if it will work better than my scribbling things everywhere and combining work Outlook calendar and personal Google calendar -- how is a forgetful person supposed to remember and have time for updated calendars to help her remember things?? !